was born in 1959. He received his diploma degree in electrical engineering with an emphasis on communication engineering from the Technical University of Munich, Germany, in 1984 and worked in the field of fiber optics at Siemens AG, Munich until 1990. During this time he received his Ph. D. degree from the University of Kaiserslautern, Germany. From 1990 Dr. Thomas Eder has been working in the field of intellectual property and passed the examinations for German and European patent attorneys in 1993. He has been a full partner of the firm since 1994. Since 2005, he has been active as visiting lecturer in the filed of intellectual property at the University of Applied Sciences Offenburg. 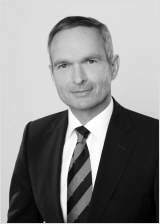 Dr. Thomas Eder is a memberof the board of the Bundesverband Deutscher Patentanwälte (Federal Association of German Patent Attorneys) since 2006.